As we shift from spring into summer, dreams of summer pool parties dance merrily through our heads. Preparing your pool for summer fun means loading it with harsh toxic chemicals. With so many of us wanting to lead healthy lifestyles, going that direction makes no sense. There’s a more efficient, healthier alternative. For those of you who may not know them, Ed Begley, Jr. and Rachelle Carson-Begley are “the King and Queen of green”. Well-known environmental activists, the Begleys take living green to new heights in order to achieve the lowest carbon footprint possible. Along with driving an electric vehicle, being vegan and having what could be considered one of the greenest homes in America, the Begleys introduce TV viewers to an expanding variety of energy efficient, eco-friendly products, services and lifestyles on a weekly basis as hosts of the show Living with Ed. Microwaves are perhaps one of the most popular household appliances around. Most homes have at least one and even boaters and RVers wouldn’t be without one. It’s the idea of the portability of this essential technology that was the inspiration for the iWavecube, a small yet powerful personal microwave. For more on this versatile, affordable, go-anywhere microwave, see the full story at http://bit.ly/nLLu9U. For those who’ve longed for a notebook with real lasting power, that day has finally arrived. Samsung has announced the release of the first and only solar-powered notebook – the Samsung NC215. This solar innovation is really Samsung’s NC110 reworked with a solar panel integrated into the netbook’s lid. First released in Russia and Asia, Samsung has given the go-ahead for a U.S. release, with product to be available in mid- to late August. For more details on this innovative n0tebook, see http://bit.ly/ntuNuS. Remember the last time you went to get a battery you’d stored, only to find it didn’t work? The bunny that “keeps going and going” may have met its match. Sanyo’s Eneloop Rechargable battery changes what we think we know about rechargeables. 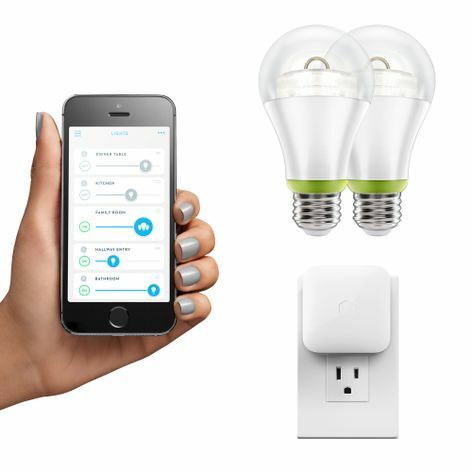 By mid-2010, consumers will be able to connect their home electronic “gadgets” via Wi-Fi without a wireless network. An industry group called the Wi-Fi Alliance has just completed a set of technical “rules” called Wi-Fi Direct to guide consumer electronics companies planning to add this new capability. Now cell phones, cameras and computers will be able to “talk” to each other directly. Only one gadget will need to have the new Wi-Fi technology to make two-way connections. This technology overlaps with that of Bluetooth, whose wireless technology already has gadget-to-gadget connection capability allowing consumers to send videos and other bandwidth-hogging files around the house. Things could be getting a little simpler. Add this to the news earlier this year that the major electronics firms have agreed to make standardized charger adapters in the near future and it sure seems like we’ll have a few less headaches in this department next year.